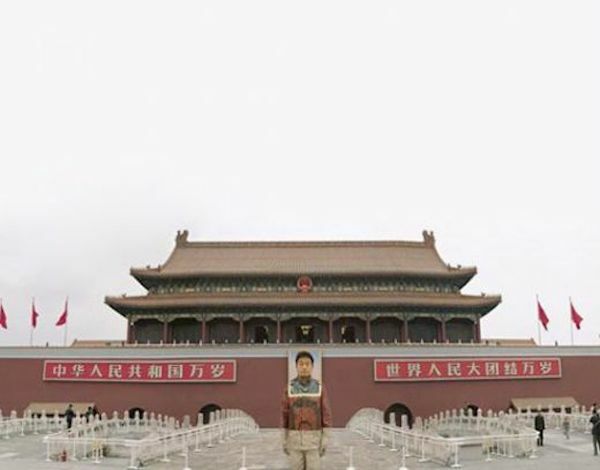 Many of Liu’s images talk about his native China though the cleverness of his strategy for making art allows him the freedom to occupy difficult territory without the result challenging the political status quo in an overt manner though allowing his face to replace Mao’s at the entrance of Tiananmen Square is not without risk. 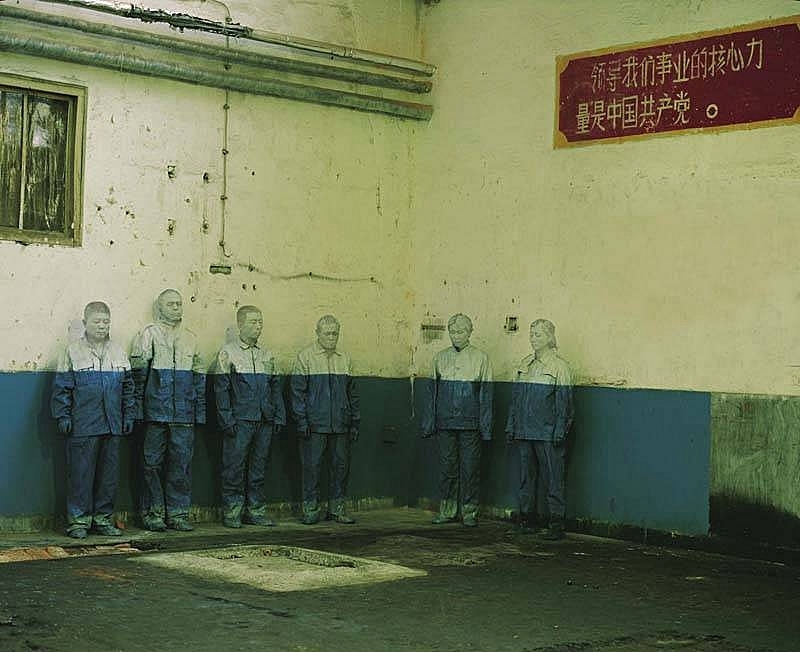 Unusually, in Laid Off Liu works with others to create a ghostly gathering of laid off workers. In this image the figures are easier to spot; the game is replaced by the poignancy of the situation the (almost) disappeared find themselves in. It’s impossible to look at this image without thinking about the fate of the workers it depicts. What is to become of them? A lot of what we buy comes from China, we know that and know that for many there working conditions are terrible. Laid Off offers a reminder of a system that exploits workers and casts them aside without ceremony; that the unemployed are overlooked is not revelatory but it is something we shouldn’t forget. 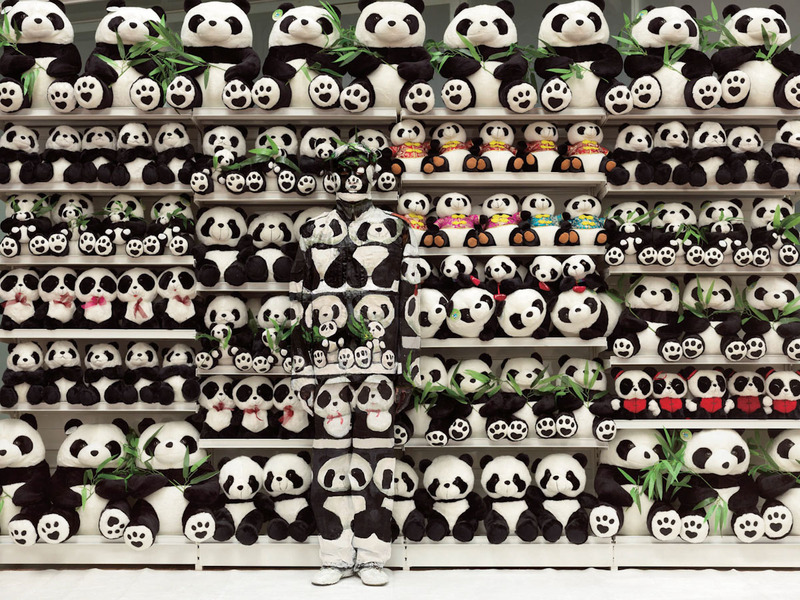 Liu Bolin: A Colorful World is at Klein Sun Gallery, 525 West 22nd Street, New York, NY 10011 from 11 September to 1 November 2014. Shame I’m the other side of the Atlantic. 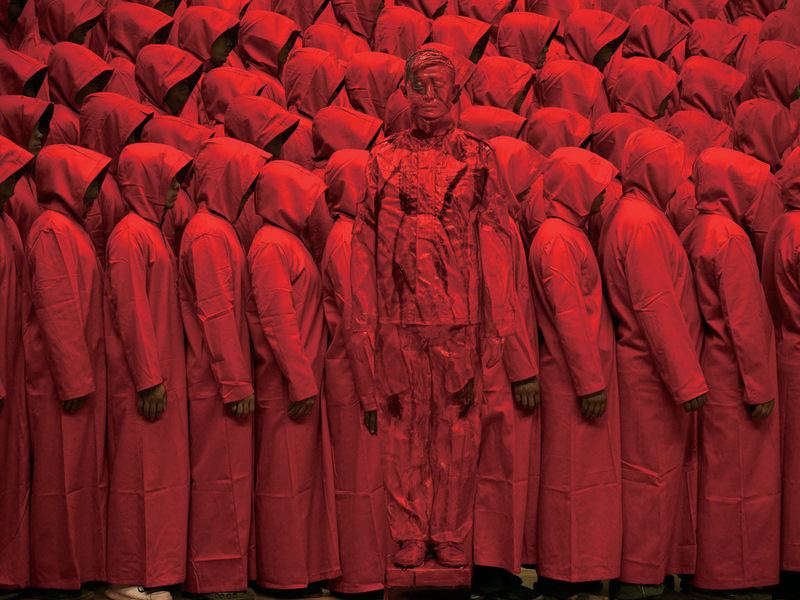 This entry was posted in Performance, Photography and tagged art, camouflage, China, Hiding in the City, Liu Bolin, performance art, photography by Ann Jones. Bookmark the permalink.